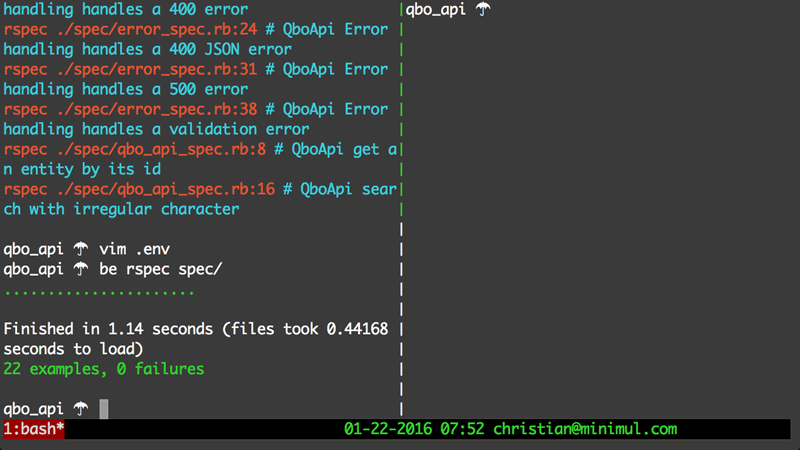 The qbo_api gem's specs were built against an official QuickBooks sandbox and then recorded using the VCR gem. 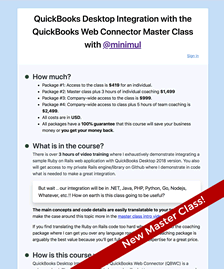 Therefore, you have a fantastically quick way to get started with your integration project in that you can see "real world" QBO API transaction without your own sandbox or even a network connection. Allow me to demonstrate. This section is at the 2:48 mark. Let's get some green before we dive in further. 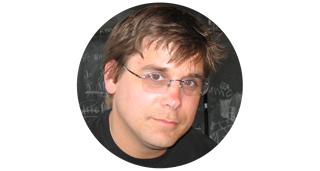 Note: the be is a bash alias for bundle exec. Then go to the first spec where abouts the VCR cassette is being recorded. Here you see how the gem is initialized. 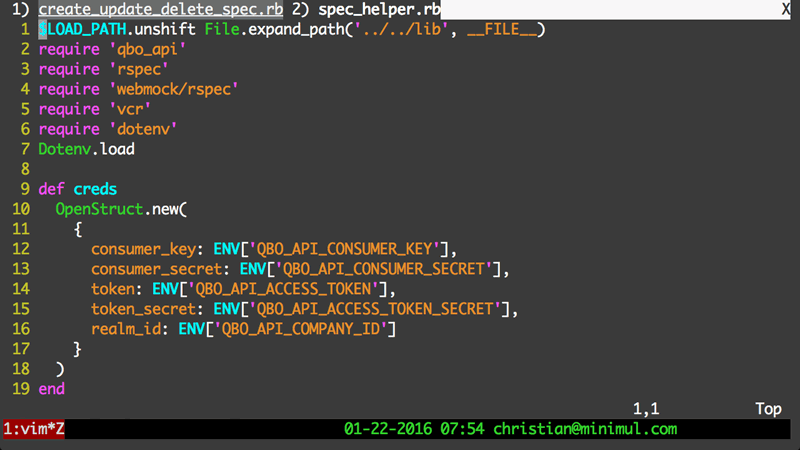 The .env file is loaded by the Dotenv gem. If you want to see an example of an advanced VCR custom matcher keep reading the spec/spec_helper.rb file. The purpose of the matcher is to make VCR more lenient so that any QuickBooks sandbox can be used. This section is at the 5:29 mark. The qbo_api initialization and many other methods use keyword arguments, which is the primary reason for the Ruby 2.2.2 requirement. 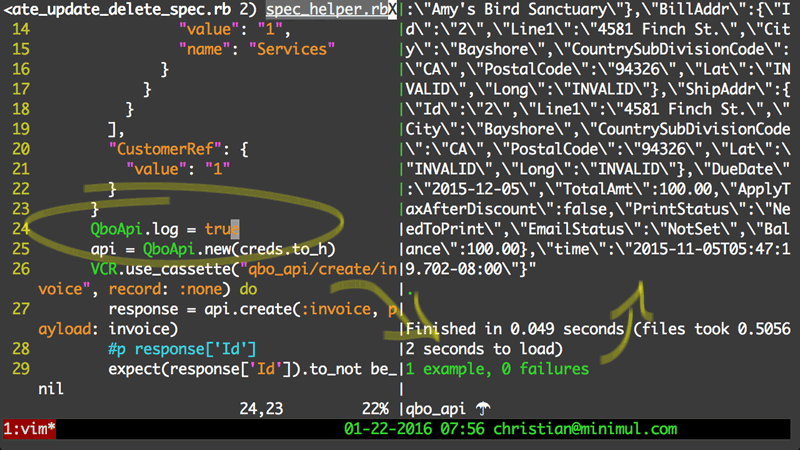 Before the initialize set QboApi.log = true and run the individual spec. 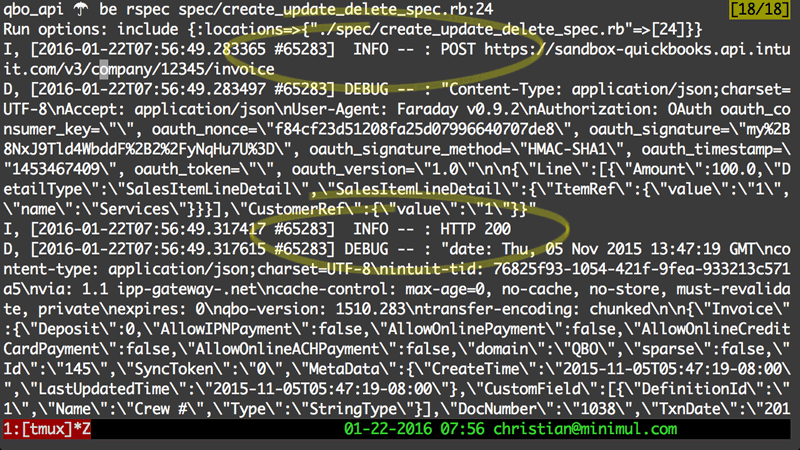 Use the log feature to view the HTTP transaction to QBO API. Here is the full (real not a fictional fixture) request and response for creating an invoice. 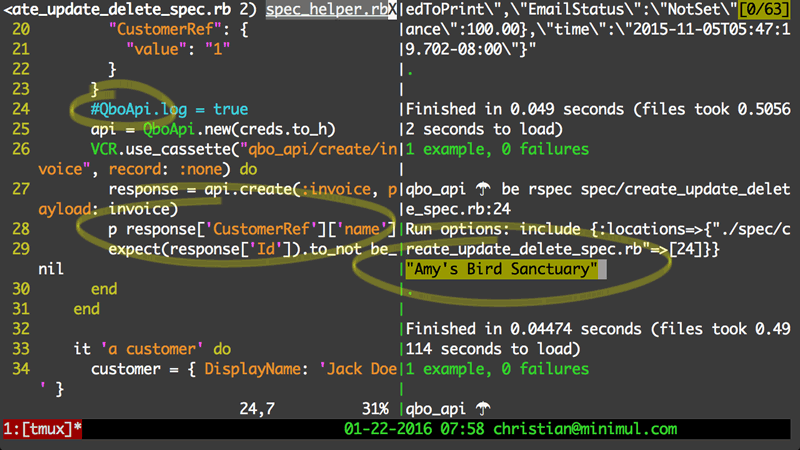 Add a p response['CustomerRef']['name'] and then comment out the QboApi.log = true to isolate the output to only the customer name. This section is at the 7:44 mark. 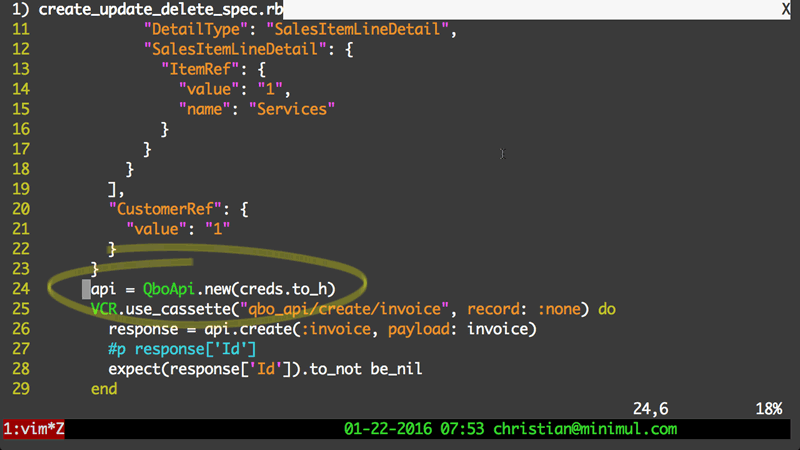 Next, open up the spec/error_spec.rb and goto the spec titled "handles a validation error". 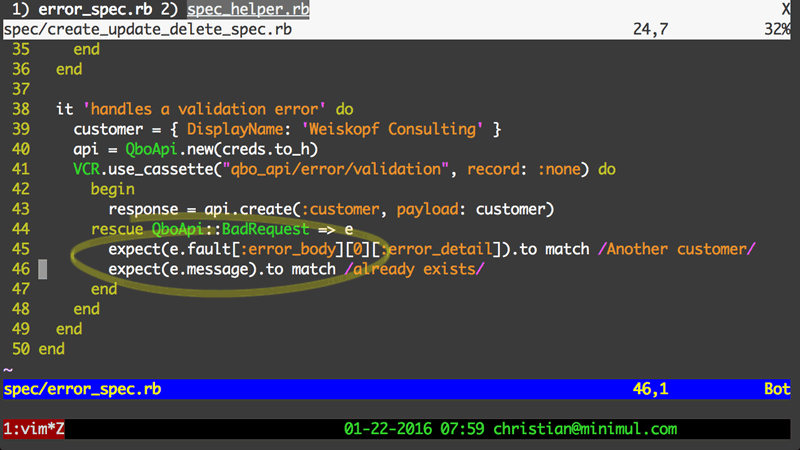 The spec displays how you can detect an error and how to potentially respond. 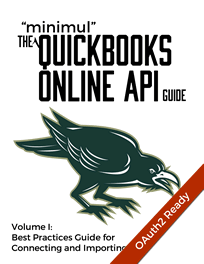 When getting started with a QuickBooks integration project using the qbo_api gem leverage the "real world" recorded specs to help you get started quickly.